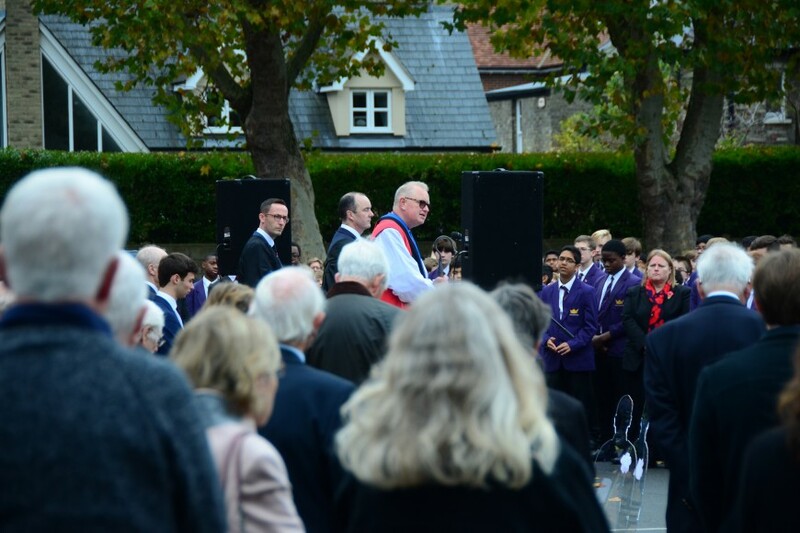 A special remembrance service with the Bishop of Colchester in attendance took place at Colchester Royal Grammar School on Friday to mark the 100th anniversary of Armistice Day and commemorate the CRGS staff and students who have given their lives so that we could live ours. 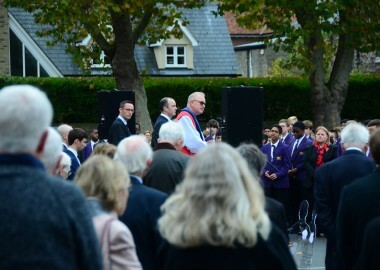 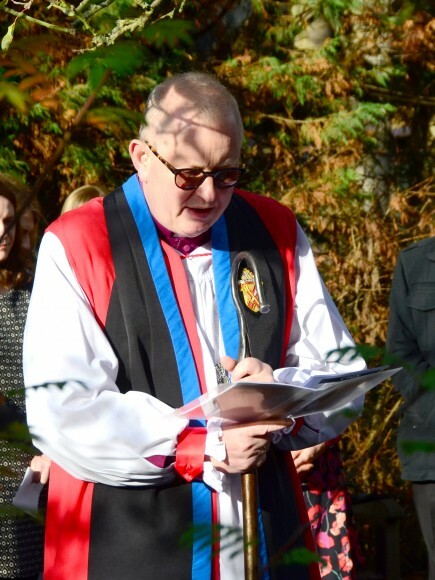 Led by the Headmaster Mr John Russell, the students, staff, Old Colcestrians and guests gathered in the Large Close. 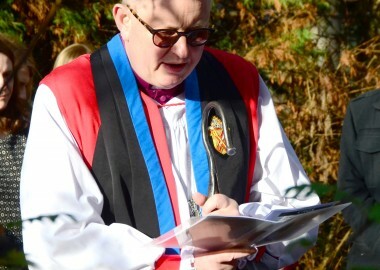 The names of the Old Colcestrians who fell in the Great War were read out by five individuals, one of whom was the Bishop of Colchester. 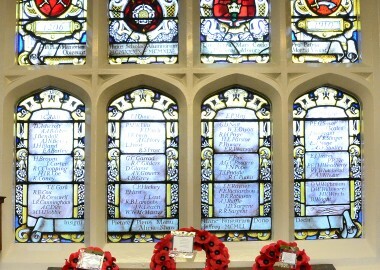 Three buglers played ‘The Last Post’, before the school held a two minutes’ silence to honour the soldiers. 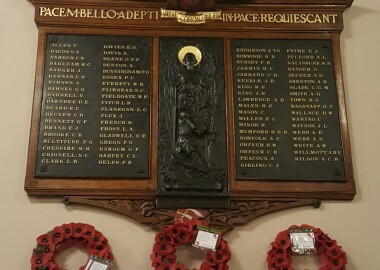 This was broken by the buglers playing ‘Reveille’ and the Headmaster read an extract from Laurence Binyon’s poem ‘For The Fallen’. 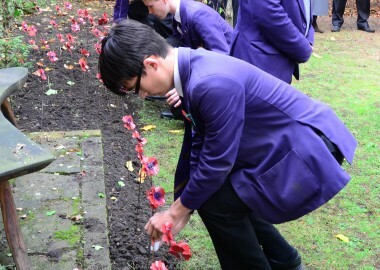 In the school’s Memorial Garden, the final 15 poppies were planted in honour of the Fallen, with a short biography read about each of the soldiers they were representing. 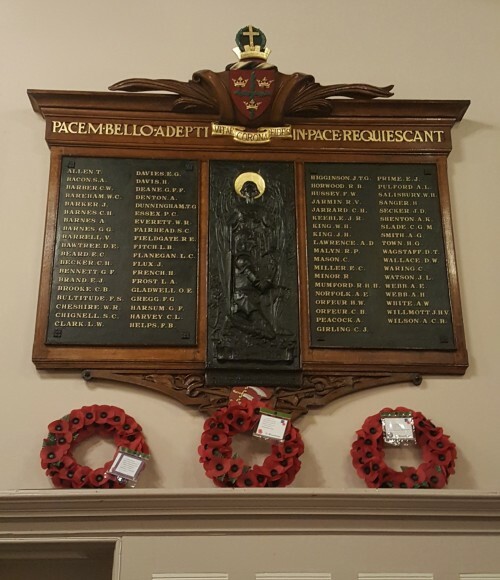 Poppy wreaths were also laid at the school’s war memorials – in the Library and Main Hall – and the school orchestra performed ‘Nimrod’. 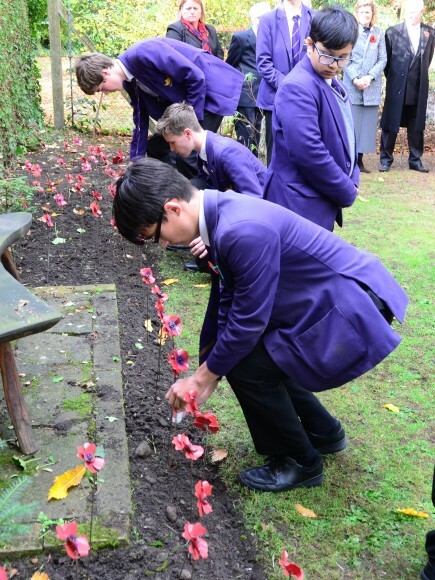 Driven and supported by Laurie Holmes of the school’s Archives Society, representatives of CRGS have visited the graves of the staff and students who lost their lives serving the country in the First World War. 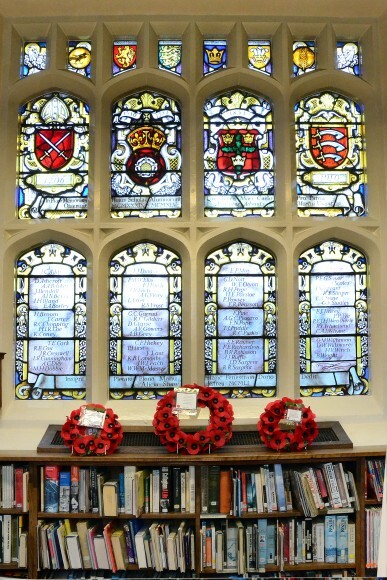 Photographs and accounts of some of the visits, as well as the biographies of the CRGS students and staff who have lost their lives, are included in a newly-published book, None Have Done Better.